Android 9.0 or known as Android Pie, is operating the 9th generation Android system and is very new for this type. 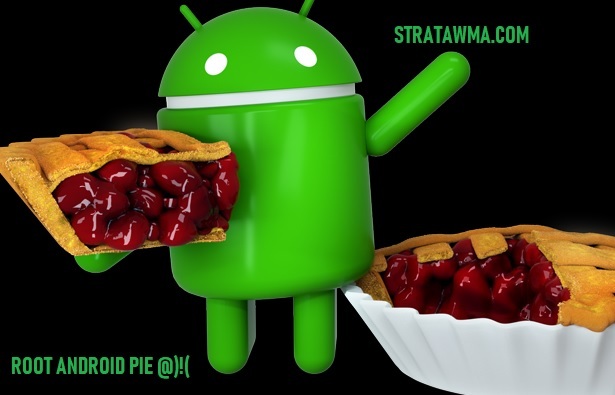 Android pie operating system is dominated by gesture-based control (movement) which is very good business with that used on the Iphone X. So you can navigate with just one hand. The advantages are different from the operating system android pie is batrai smartphone will feel more durable. This is because the operating system andoid pie has been equipped with AI (artificial intelligence) which is embedded in the Adaptive Batteray feature. Which of these features will work by observing the prevalence of the user in running his smartphone which automatically looks at the use of the battery to be more economical. However, even though the android pie operating system is considered the best, but sometimes there are still not a few users who are not satisfied and want to customize their own performance or appearance. So, root access is needed so that working on customization will be smooth. Can customize the appearance and performance of the smartphone to suit your taste. Can change ROM with a custom ROM. Can install TWRP to do data backup thoroughly. Download Magisk for Android Pie.zip. Reboot your Android into recovery mode (TWRP). After success, then reboot the system. after that download Magisk Manager.apk. Install Magisk Manager like doing software installations in general. Congratulations now that your android pie has been rooted successfully. That is a tutorial from me about the technique of rooting on android pie, I have practiced this tutorial myself and succeeded in the Xiaomi Redmi 4X smartphone with the rom Pixel Experience.